It was a privilege to spend my afternoon visiting classrooms and interacting with students and teachers at the Connect Charter School, Calgary on Friday. Two students, Will and Oman, guided myself and other Board Directors in and out of various learning places, the “field survey” part of the review of the school’s strategic plan “Lead, Share, Transform” conducted annually. The tour began with an iPad training session in the library led by some young experts from Grade 6. I came away knowing more about how to pull similar apps together and grab images from the web. Geometry was under exploration in Grade 5, where I saw students shaping their own learning through turning, translating, even tessellating objects. 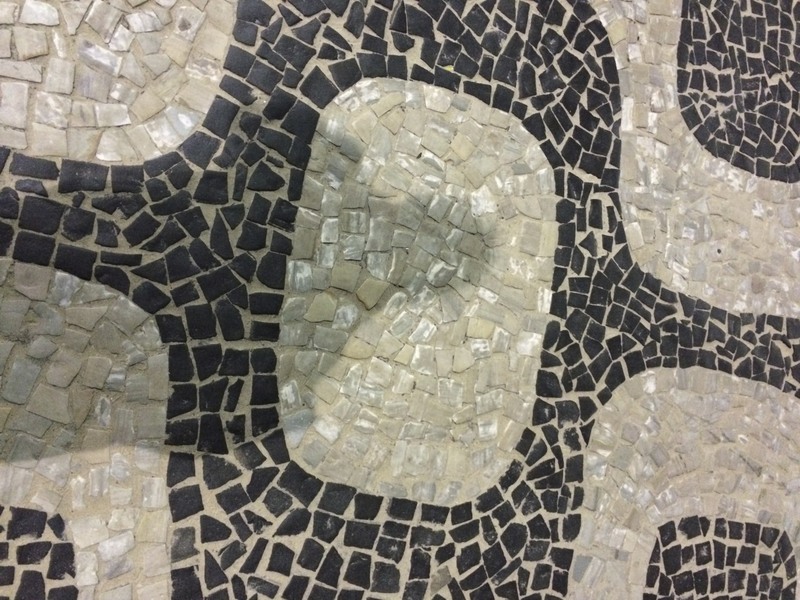 Tessellation shown in this pavement mosaic from Rio de Janiero, Brazil. Connect is a school where all students are issued with either an iPad or Apple laptop, so I was surprised (and delighted!) to see hand-writing being cultivated. Members of a Grade 5 class were writing up their journals as characters from The City of Ember by Jeanne DuPrau in this way as it best reflected the technology in the book (readers, or viewers of the film of the book, may recall how young people are issued jobs by ballot and go about learning their new trades in an underground city). Electricity was clearly generating self-confidence amongst students in the next Grade 5 class. In a previous lesson they had watched YouTube videos revealing the difficulties some MIT science students had with creating electrical circuits that work. The class was providing their teacher with their own observations on making closed circuits. Along the way they were talking about polarity and the flow of electrons, concepts that they will meet again in years to come. Teaching and learning is 3-D at Connect Charter School: corridors count as classrooms. Along my way, I dropped into a conversation with some Grade 4 students. We talked about where coal is found and where electricity comes from before moving on to the music room. A drummer and two sax players were hitting a groove with their teacher (on piano & sax) around The Beatles “Hey Jude”. Around the corner we caught another rhythm, this time more Afro-Latin…the sound of a berimbau. The Grade 9’s were in the gym to experience Capoeira, active street culture from Brazil that brings together martial arts with dance (see featured image, above). Upstairs, space was beckoning us. We headed into Grade 6 just in time to hear Connor and his colleague presenting their research into the formation and structure of supernovae. Their technical language was rich (I heard gamma radiation, planetary nebulae and aftermath spoken of with ease). The subject framing by their student teacher, one of over a hundred that can be expected to benefit from working in the school over the year, was creative and well-laid out. Many other examples of the best application of inquiry based learning were on view around the walls. 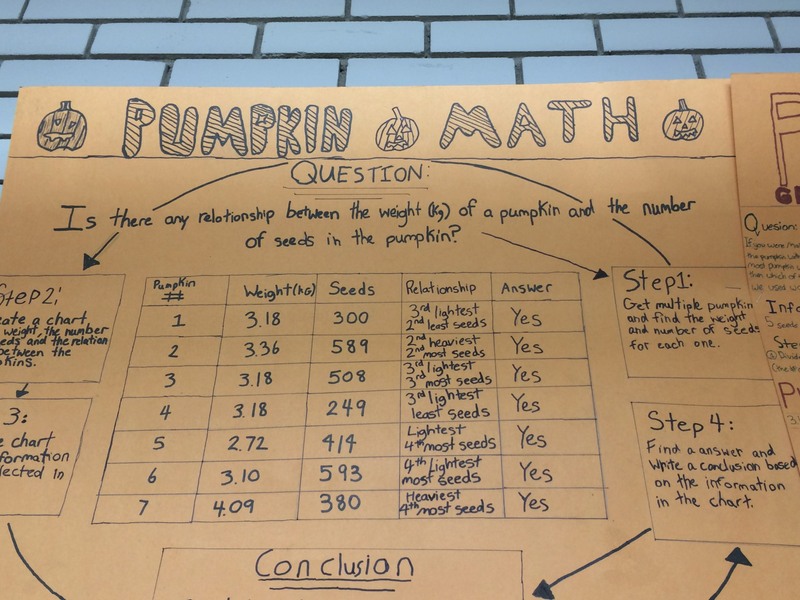 I had a few moments to take in Pumpkin Maths (what is the relationship between fruit size and number of seeds?) before going through a personal learning strategy that Victoria had on her laptop and, more important, was actually using! 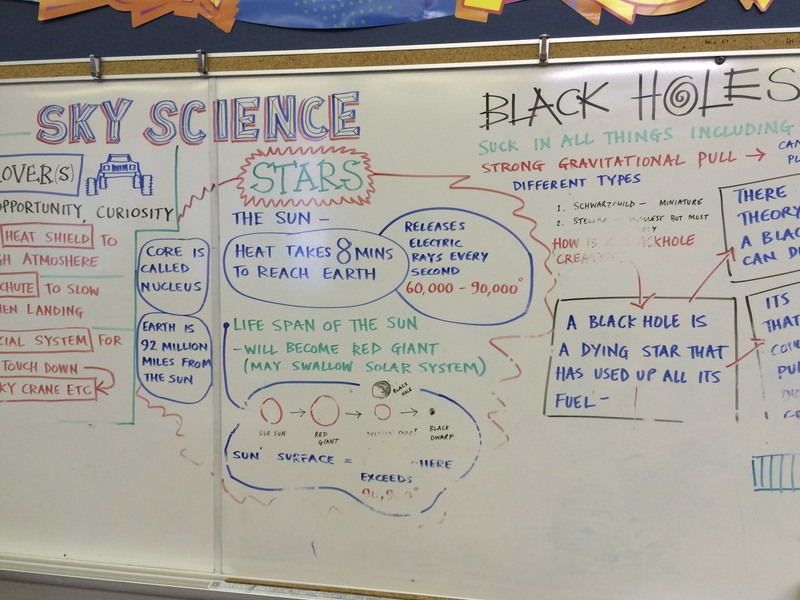 Last stop was at a student-led discussion on discoveries and their impact on life. A fitting close to my tour, bringing to mind how self-discovery, when handled well, releases positive creative and collaborative forces and the self-confidence of young people. As Dr Pamela Adams, University of Lethbridge, describes it in her recent education research, excellence is not an accident at this caring, purposeful school where it’s never just an ordinary day.